Is Nikon Teasing a New Full Frame Compact in this Video? Nikon put out a video that seems to be teasing something huge for the company... the retro full frame compact that has been hitting the rumor mill pretty heavily in the past week. That said, this video from Nikon seems to be pointing to the rumors being more fact than fiction. This camera looks like it's coming, and soon. 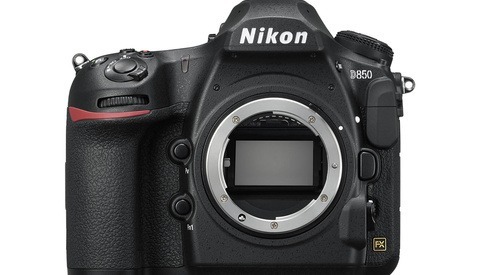 Nikon Rumors is saying the camera will be called the Nikon DF, which stands for Digital Fusion. Do you think this video is a teaser for it? I sure hope so. It looks strikingly similar to the camera I learned film on way back in the day, and would make me yearn to own it quite badly. My mind flipped tables when I saw this! TAKE MY MONEY NIKON!!! Nikon has some pretty beautiful shutter sounds, but this fella takes the cake! It will go perfect next to my FM2! Can't wait. A dream camera. Or are you just drooling over a product which you know nothing about? If it is what everyone is anticipating- and Nikon is slowly revealing to be true- then yes, I cannot wait. You haven't been excited about something you don't know everything about, before? Ever been excited about a gift before you unwrap it from the box? If you don't know what's in the box, do you give the gift back? That's pretty sad. Keep trolling while I stay excited. Sure I have... but calling it a dream camera before anyone has any real info about it... hell, enjoy. The mighty corporate boogey man has got ya. .... So many people will buy anything if "retro" or "vintage" is tied to it... Seriously people.. Quit being such hipsters.. I just think its funny people will pay for this camera and all it does is EMULATE a retro look... Just a little more advance version of using a plugin.. Yeah.. totally worth it.. Hell even the title is saying its for hipsters though... D4H? Designed 4 Hipsters, come on! Lol. If it's designed like an older Nikon camera is will probably be compact and simple. The reason many photographers are interested in cameras such as this (fuji x series) is because the classic manual controls and compact size. I didn't even learn photography on a film slr, but I still prefer the way they are laid out. You know what Brandon, I can actually respect that answer. Most people just see retro and go NUTS over it but give no explanation as to WHY... THAT is what irritates me when I hear people saying "GOT TO HAVE IT". ya for me its not the retro style. its the manual controls and size. i love my Fuji X100. the retro style is just an added bonus. the HAVE TO HAVE IT for me comes from getting a full frame sensor in a small package like the Sony A7 and A7R. especially at the price point the Sony camera come in at. Gonna join in on this. I shoot MK IIn/IV's for work but for anything personal I take my X100 or Pentax S1a. Direct controls and clear bright viewfinders in a small package are a winning combination. I'll tell you why.... I grew up and learned on a Nikon F2, F3, FM2, and FE2. Those cameras hold a special place in my heart. They are still second nature when I pick them up today. They feel right. They sound right. Everything is in the right place. Smooth curves are good on women, not cameras. I just want the same feeling and functionality of those film cameras in a digital body. That's because you haven't been following this the way enthusiast have. It appears to be a Nikon F3-sized DSLR camera with a shutter speed dial and matching (modern) lens with an F-stop ring. If so this is desirable for many people, especially those who grew up with gear like this, such as myself. Wes, you look like a douche-bag hipster with those square glasses! You haven't even seen the camera, so how do you know it functions like a "plugin", whatever that means. I think it's funny how people who think they are "true photographer" want bash equipment before they even see it. New does not always mean better. And appreciating good design from the past does not always mean hipster. My take on it is that people don't like it just because it's an old design. They like it because it's actually designed beautifully (unlike modern cameras). It's also going to be a pretty compact FX camera. Any real price or performance advantage apart from being retro? 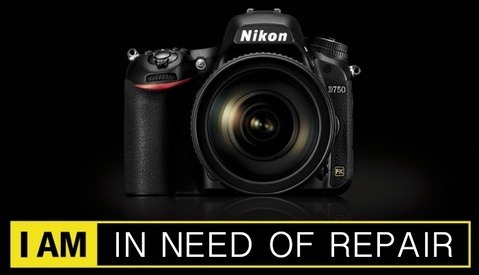 Nikon better be have a good reason why they didn't come out with the D400 when the expectation and market was hot for it. And they have been complaining of poor market performance compared to their competitors! Still, Quite happy with my D7100 and spankin new (well, refurbished) D800e! It seems to me Nikon is leaving APS-C in the past. At least, in the DSLR line. 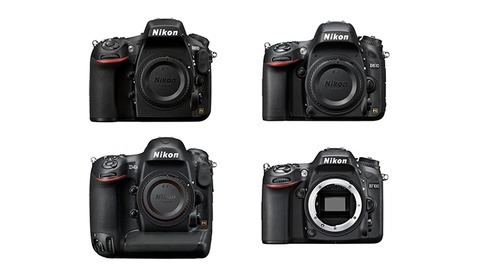 Nikon Germany is going to concentrate solely on FX gear, and it seems like Nikon's overall DSLR modus operandi. Let's face it, DX was a stopgap measure from the start. While it obviously evolved into it's own format, nobody really wanted it in the first place. Ahh Nikon... Tease us with something and then actually release it in 3 years. I love that company. Release is next week in Paris. HA! I live in Paris :-) Thanks for reminding me to get a ticket for the Salon de la Photo! Umm, I have a question - where does that photo come from? That looks awful lot like me. 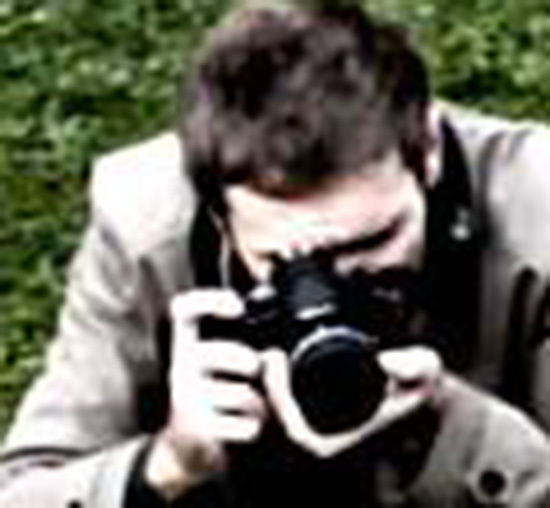 Are you the man in the video?